Design is the process of collecting ideas, and aesthetically arranging and implementing them, guided by certain principles for a specific purpose. Web design is a similar process of creation, with the intention of presenting the content on electronic web pages, which the end-users can access through the internet via various electronic devices. Long story short, website design is Planning, Creation and the continuous updating on websites. The website design also involves information architecture, UI (user interface), website core (structure), navigation ergonomics, website layout, colors, contrasts, fonts and imagery in general (photography, icon design etc.). All of the above mentioned elements form a website when combined. More often than not, design is being perceived as a visual aspect only, which is a big mistake. In reality the whole concept of the design includes more abstract elements such as ergonomics, usability, layout traditions, habitual tendencies of the users, navigation logic and plenty of other things that are there in order to simplify the utilization of the given website and thus creating an opportunity to find the desired information as the User much quicker. Those are just a few of the services that we may provide for you, but we always make sure the quality is at the highest level possible and we can accommodate to any clients desire. Our team had been assembled in such a manner, to be able to provide only the highest quality website design service and maintenance of the same. We are taking challenges from clients residing all over the world. 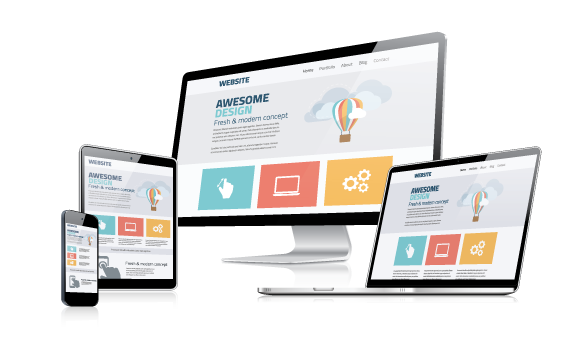 We specialize in designing a classy, extravagant website design, while maintaining the touch of responsiveness and reliability. In effect, creating top-notch business leads. Do not hesitate to contact us and catch up with the rest of the leading businesses in their respective areas!